JSC "Tram department of the city of Pavlodar"
1. Under condition of acceptance of one shareholder JSC “NC “ SBC “Pavlodar” of positive decision on large deal conclusion by JSC “NC “ SBC “Pavlodar” (Project support Contract between Akimat of Pavlodar region, Akimat of Pavlodar city and European Bank for Reconstruction and Development), it is necessary to conclude the following bargains to JSC “Pavlodar Tram Management Company”: - attached Project support Contract between Akimat of Pavlodar region, Akimat of Pavlodar city, JSC “NC “ SBC “Pavlodar” , JSC “Pavlodar Tram Management Company” and European Bank for Reconstruction and Development in capacity of large deal: - attached Loan Agreement between JSC “Pavlodar Tram Management Company” and European Bank for Reconstruction and Development in capacity of large deal. To approve on signing of attached Project support Contract between Akimat of Pavlodar region, Akimat of Pavlodar city, JSC “NC “ SBC “Pavlodar” , JSC “Pavlodar Tram Management Company” and European Bank for Reconstruction and Development and Loan Agreement between JSC “Pavlodar Tram Management Company” and European Bank for Reconstruction and Development ( register it when required) and other necessary documents of Chairman of the Board of JSC “Pavlodar Tram Management Company” Zhangazyn Aytuar Zhumabaevich, and also to implement all law acts that are appear from the decision..
To publish in mass media an information about the deal to JSC “Pavlodar Tram Management Company” in determined by the law period and order. For JSC “Pavlodar Tram Management Company” this decision should be the decision of its one shareholder. 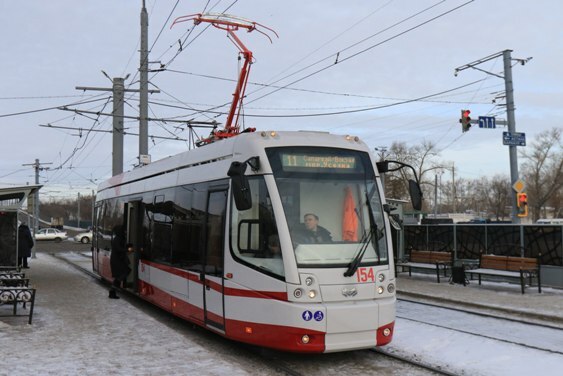 To Boardrooms of JSC “NC “ SBC “Pavlodar” , JSC “Pavlodar Tram Management Company” in determined by the law take measures that are implied by the present decision.